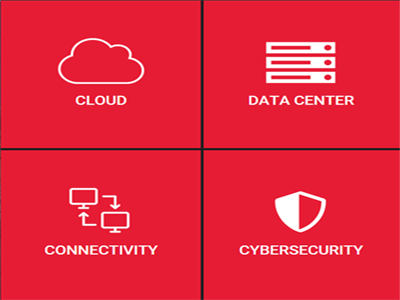 RED8 is a division of Irvine, CA-based Insight Investments Inc., servicing the Fortune 500 market, selling and implementing cloud, data center, networking and cybersecurity solutions. RED8 heavily relies upon Salesforce Cloud CRM for tracking and communicating with suppliers, leads, and customers. On the back-end, RED8 utilizes Microsoft Dynamics GP for purchasing and sales order processing. Prior to our custom portal implementation, RED8 sales staff would manually collect Excel spreadsheets of supplier quotes and then transpose supplier and RED8 product pricing onto an Excel quote. These spreadsheets would then be attached to the corresponding Salesforce opportunity. This process was repeated with updated supplier data until a customer agreed to the quote, hence resulting in the creation of many quote versions per deal and a whole lot of data entry. Once a quote was accepted by the customer, RED8 sales administrators would then generate purchase orders in Dynamics GP in order to procure the items, and then finally create the actual sales order. One option to improve this manual quotation and sales process was to utilize Salesforce CPQ, but this 3rd party plug-in would have had to be customized, and still would only have met 80% of the required functionality at best. For example, when products being sold are new items, they have to be created in the GP item master first. Building this integration into the CPQ system would involve customizing the plug-in, and this opens up a lot of support issues and future upgrade costs. To suggest an alternative to the CPQ Salesforce Plug-in, Framework first performed a detailed assessment of the RED8 quote process and workflow, and from there was able to propose an automated solution with an improved workflow. As a result, RED8 selected our proposed option of introducing a Custom Middleware Portal with API based integration with both Salesforce and Dynamics GP. Linking Salesforce Opportunity to Portal Quote – Quotes in the portal are created from Salesforce Opportunities via the Salesforce SOAP API. Opportunity and Account data updated in Salesforce are synchronized on demand via portal users, as well as via a Windows Service that runs nightly, in the Salesforce-to-portal direction. In the portal-to-Salesforce direction, Quote line items are written back to Opportunity line items in a manner custom to RED8’s needs. Vendor Quote Import – 50-60% of incoming supplier quotes adhere to one known template, so the portal provides a template parser, and the software is extensible to allow for more templates to be defined to cover a greater percentage of incoming data. The spreadsheets require nominal manual changes. The supplier lines are automatically associated with Quotes. Customer Quote Output Generation – Account executives do not have to manually enter BOM, lease terms, or sales terms. The portal utilizes PDF output of SQL Server Report Services, and a custom administration tool for document templating to automate the Quote Document process. Quote output PDFs are stored in a document repository and automatically associated with Quotes. Quote Versioning – Multiple iterations of Quotes co-exist without loss of data. Salesforce Plug-in Integration – the portal recognizes and communicates with Salesforce plug-ins Elton and Box.com. 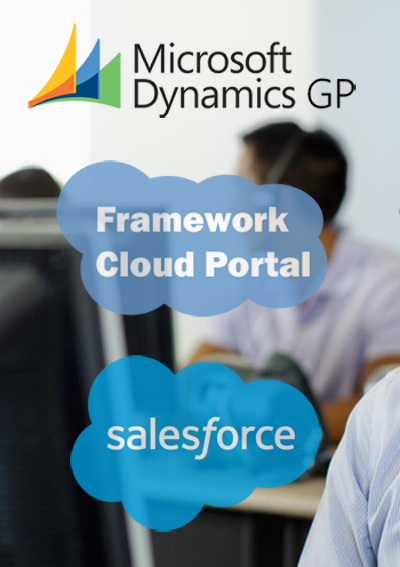 Dynamics GP Purchase Order and Sales Order Generation – the portal communicates with Dynamics GP via an eConnect Wrapper. By automating the manual process of collecting and compiling spreadsheets of vendor quotes, and then loading both sides of the quotation process into Salesforce and Dynamics GP respectively, this middleware portal solution has dramatically reduced both the time it takes to quote and process orders, and also human errors that occur. "This type of project is a wonderful opportunity for a developer to interface with multiple enterprise-class APIs and deliver a custom solution that exceeds expectations." Visit the RED8 website here..
Visit the Insight Investments website here.. Framework Solutions has been retained to consult and implement custom portal solutions as well as automate and streamline 2NDGEAR's IT hardware retail and wholesale business operation.